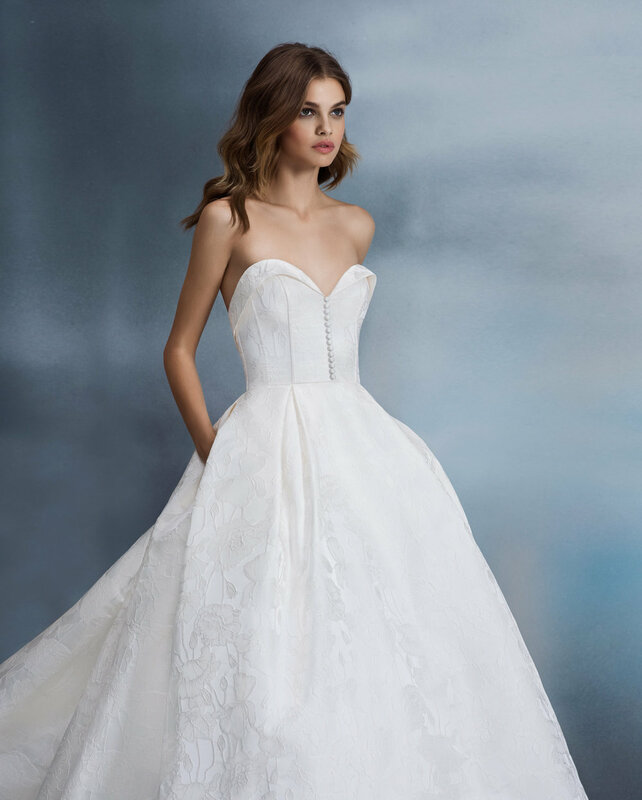 Ivory silk faille fit to flare bridal gown, Alencon lace bodice with V-neckline, cap sleeves and cummerbund at waist. Keyhole back, detachable cascade, chapel train. Allison Webb's collection is the embodiment of elevated elegance. 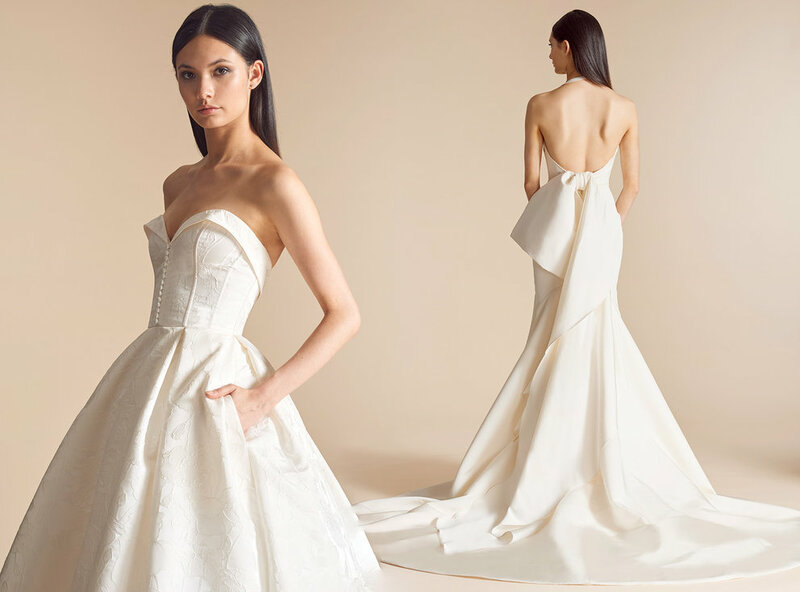 Filled with clean lines, exquisite laces,and touches of delicate embroideries, the gowns are hand-crafted to amplify a bride's natural beauty.